The 2003 Reunion is in progress in Salt Lake City! Photos of some of the events are available here. Welcome to Salt Lake, Utah, my home town. 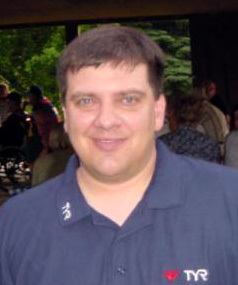 I'm Richard Kajma, your host for the 2003 Reunion along with members of my family. This reunion will be held where many genealogists dream about visiting. The Family History Library contains a massive archive of genealogical information for every county in the United States and many foreign countries, especially in Europe. The Church of Jesus Christ of Latter Day Saints has collected this treasure of county, state, federal and church records and make it available through the library. The Reunion hotel is at Temple Square and is right next door to the Family History Library. So I have arranged for mini lectures in the use of the library and a tour of the facility so you can find your way around it. If you know the library already, come early and spend time at the library. It is open till 10:00 PM Tuesday and Wednesday evening. If you are new to the library, plan to stay a few extra days to return to the library after the reunion. 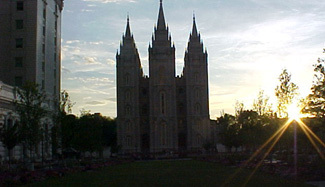 Salt Lake City is an international and cosmopolitan city. It was the host city of the 2002 Winter Games and is the home of the Church of Jesus Christ of Latter Day Saints, the Mormons. The Reunion is right next door to the LDS Genealogical Library, so come early and spend several days researching your roots. Hotel: Oh, be sure to reserve you hotel accommodations early, deadline is April 1st, 2003. After that date, rooms are at their seasonal high. Click on the "Hotel Info" button to the left for all the details for reserving your room(s). Reunion Registration: This year we have some special savings for those who register early by April 1, 2003. Register for the whole five day package with T-Shirt and save even more. Be sure to register today! If you have any questions, dietary needs or other special needs, please contact me at 801-281-8661 or by email at lorelly@peoplepc.com. My family and I look forward to seeing all of you in Salt Lake City this July! For those with Central or Eastern European ancestral lines, note that the Federation of East European Family History Societies is meeting the weekend after our reunion. Here is your chance to research the week after the reunion and stay for the 2003 FEEFHS Convention.